Doug Scheer is not only talented, but extremely professional! We have had him present at our school for the past several years…sometimes a couple of times a year! Every single show has been entertaining, informative, interactive, appropriate, and engaging. Teachers love his approach to engaging the kids and reinforcing all of the lessons/skills/behaviors that we work on throughout the school year. Doug Scheer is truly the BEST out there, and I couldn’t recommend him highly enough! This was incredible. I think this could very well be your best show and that says a lot because the other shows we’ve had were great too..
Now, get a spectacular show that your teachers will love as much as the students! You’ve found the best assembly shows in Michigan and one of the country’s most in-demand performers. Next, get ready to be treated like a rockstar as the teachers thank you for setting up these programs. Even the principal will be so happy that you chose these school assembly shows, you’ll be getting high-fives at the end. It happens all the time. Hi, I’m Doug Scheer and these are my programs. 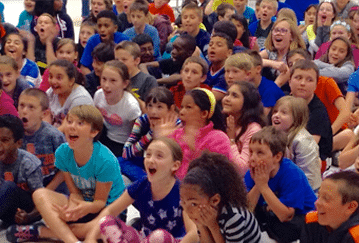 In 30 years of performing educational school shows in elementary schools, I’ve learned one big secret: Having a great assembly show is important, but to your teachers, classroom time is precious. So when students are out of class they need to be learning. And these shows combine learning with incredible fun, spectacular sets, backdrops, one of a kind props, and tons of audience participation. Choose from 12 different elementary school assembly shows including character shows like Bully-Proofing, Conflict Resolution with Leadership skills, and a Diversity program, plus my lineup also includes shows that support your school’s curriculum like Environment, Math, History, Reading, Memory Skills and Science. They’re all proven winners with a track record of hundreds upon hundreds of performances each! 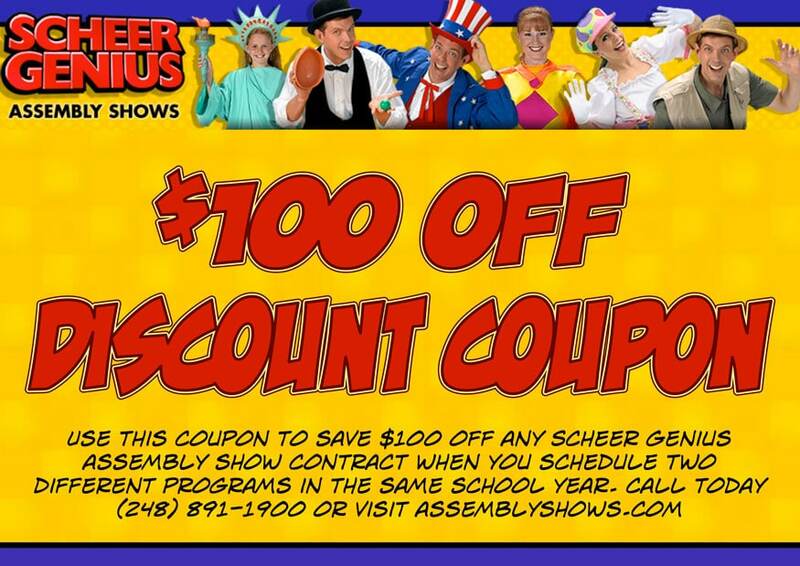 Or, maybe you’re just looking for a just-for-fun show that’s great as a special reward for your students. 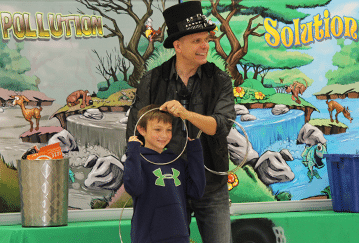 Then check out my comedy magic show for a PBIS assembly or family night. I’ve been making teachers and enrichment coordinators like you happy since 1987 — and hundreds of Michigan schools have me back regularly. Can I add you to that list of satisfied customers? It doesn’t matter which shows you chose, my goal is to make you, the teachers, and the students so happy that I’ll become your number one assembly performer and I’ll visit every year. That’d be great. 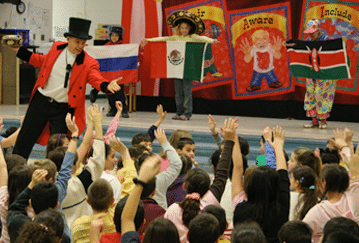 Let’s discuss which program is the best assembly show for your students. Welcome to my website. Thanks for being here.